The Tower of Fate is breached! Now, Batman and his resistance will need all the magic they can muster as Superman and his allies invade their secret base. 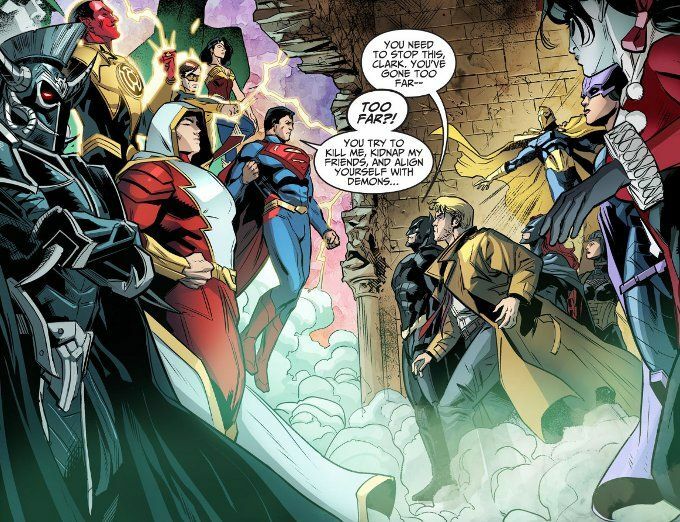 But even with the added advantage of Lex Luthor's super-pills, will they be able to hold their own long enough for one last gamble from John Constantine? This issue is basically one extended fight scene. But as far as extended fight scenes go, it's a darn good one. The script by Brian Buccellato allows a fair bit of character development in spite of the focus on fighting and there's some rather creative pairings at play as the respective sides square off. 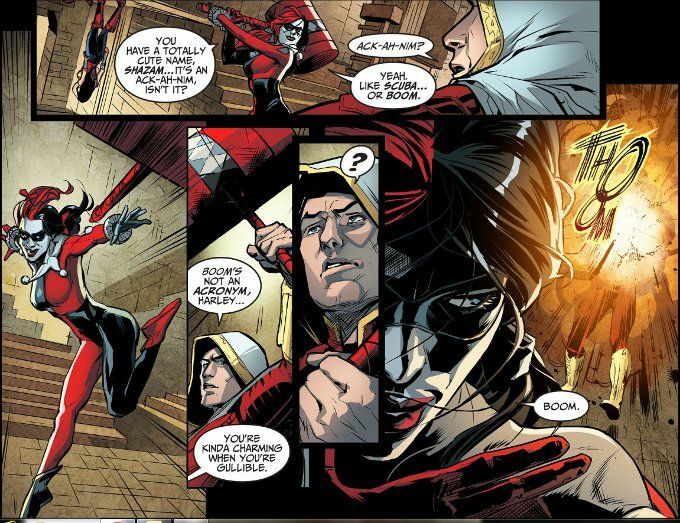 My favorite is Harley Quinn vs. Shazam. Xermanico is largely responsible for the excellent artwork of this issue. Fellow regular Injustice artist Bruno Redondo offers an assist with the layouts and inker Juan Albarran helps with the finishes. Rex Lokus contributes his usual vibrant work on the issue's colors.